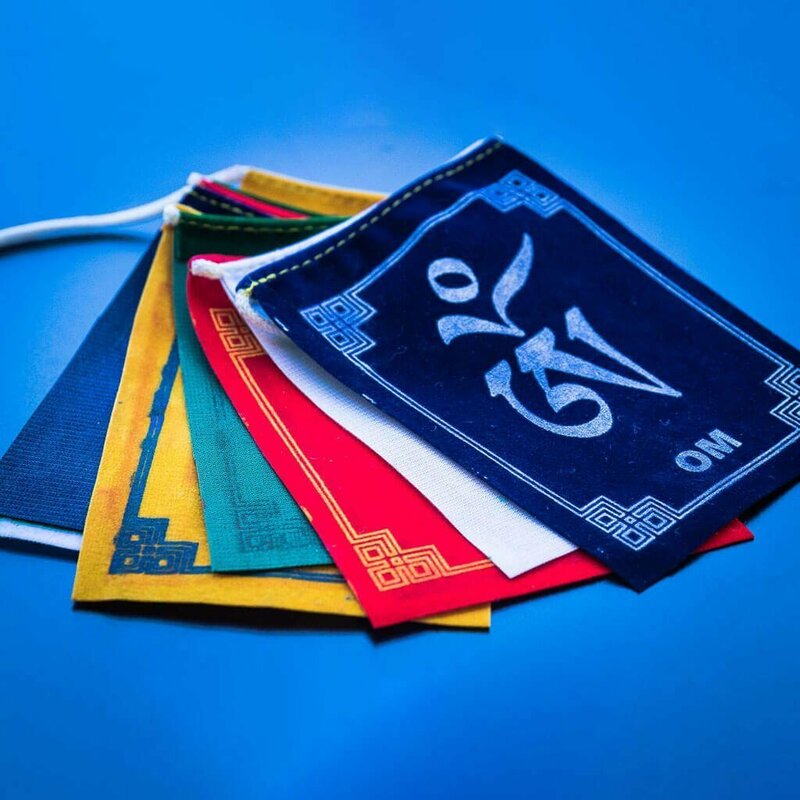 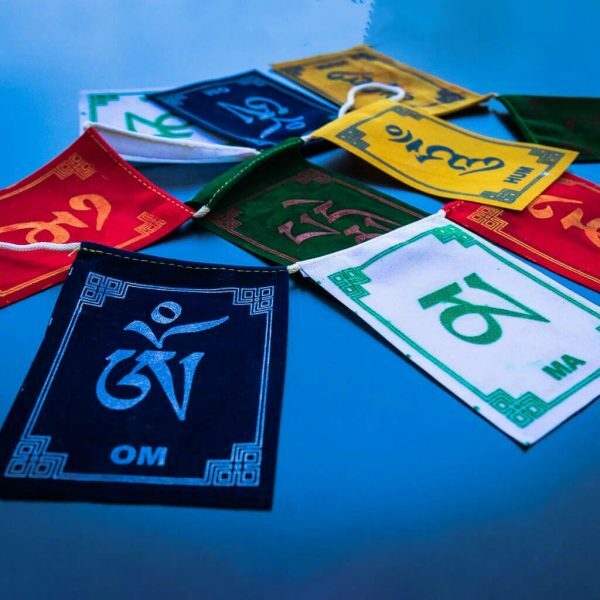 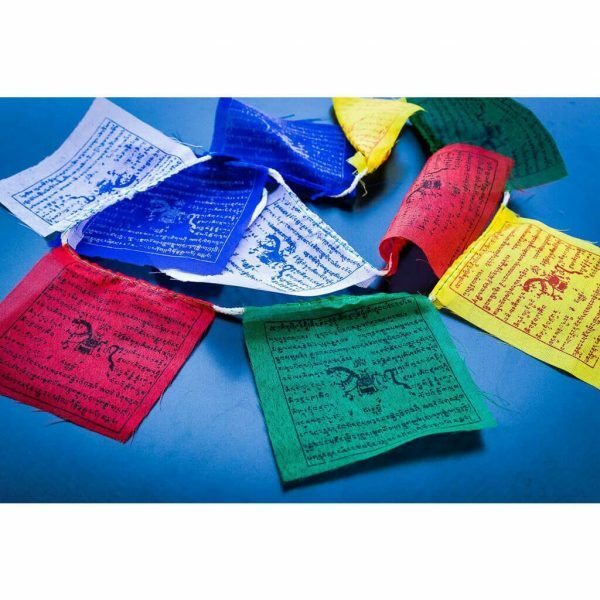 Prayer Flags have auspicious ‘Om Mane Padme Hum’ mantra inscribed in each flag. 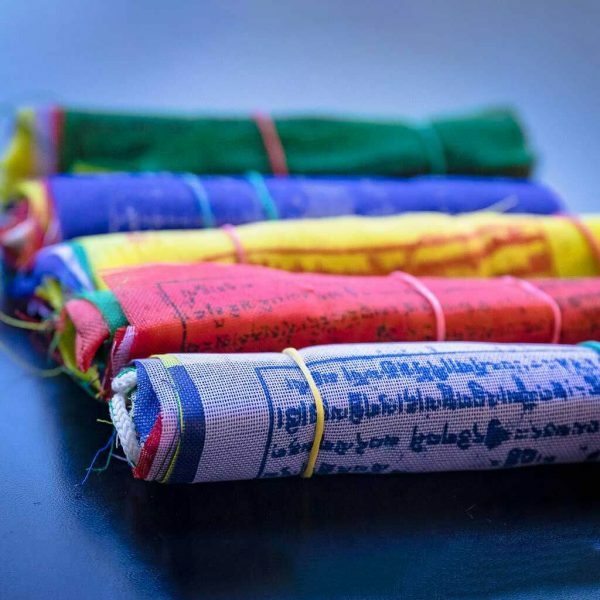 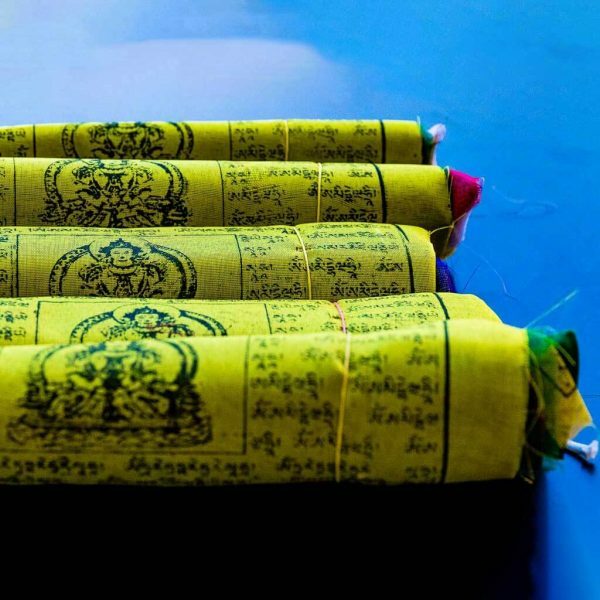 Five colors in prayer flags symbolises five elements; blue-sky, white-air, red-fire, green-water and yellow-earth. Mantras are blown away by the wind which would bring purity for all. 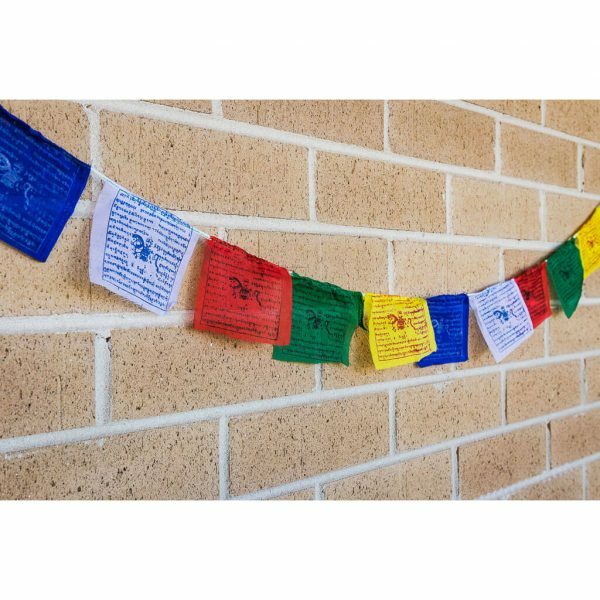 These flags are ideal to hang in airy or open places.